I occasionally attend lectures and discussions organised by the Institution of Engineering Technology (formerly the Institution of Electrical Engineers), of which I remain a subscribing member. And I subscribe to their news magazine to keep up with current developments internationally. 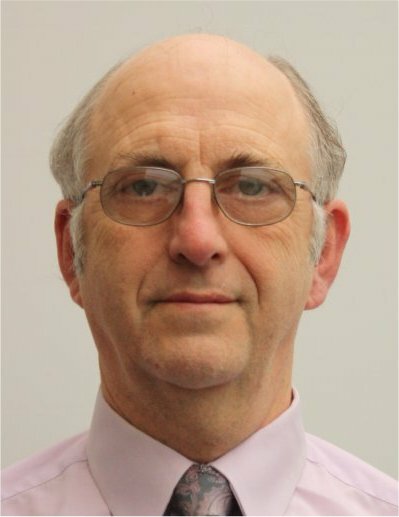 I also continue supporting local events run by the Chartered Quality Institute (formerly the Institute of Quality Assurance), but I recently retired as a member. I have also presented some evening talks to both organisations, most recently (2014) on the subject of SystemsThinking. 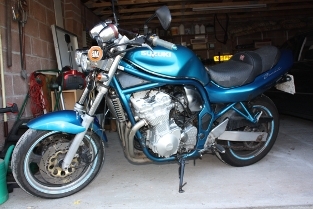 In 2013, after many years absence, I returned to motorcycling with a Suzuki 600cc Bandit. I still use it for shopping and entertainment, but in 2015 I partnered it with a Honda 1000cc Firestorm. This is more suitable for long runs, where I support competition events from Anglesey to Devon. 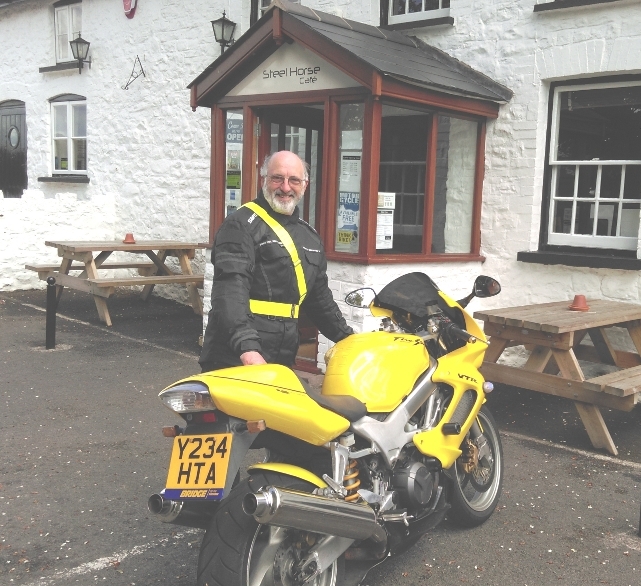 I took the RoSPA advanced riding test in April 2015, achieving a gold standard. The members of RoADAR in South Wales were very helpful in bringing me up to date on the test requirements, and I look forward to their company again. I took the advanced test for the first time with the League of Safe Drivers in 1977 on a Suzuki GT750 "kettle", achieving a gold standard; later instructing with the Star Rider training scheme in South Wales, and then qualifying as an instructor to advanced level with that scheme until about 1985. Since then both the LSD and Star Rider have ceased operating and I gave up biking to run my own business. But that was a long time ago, so it was great to get my riding standard up to scratch again. While I ran the business I needed a decent business car, so after using a BMW 525i for a number of years I bought an Audi A8. With a 4.2 litre engine (300 hp) it was both quick and very comfortable, but when I retired this became unsupportable for social use - being heavy on fuel and inconveniently larger than car park spaces. 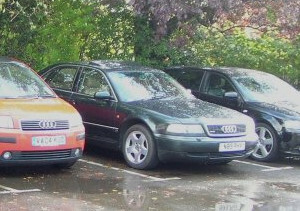 I joined Club Audi and became the regional representative for Wales, but have since left. 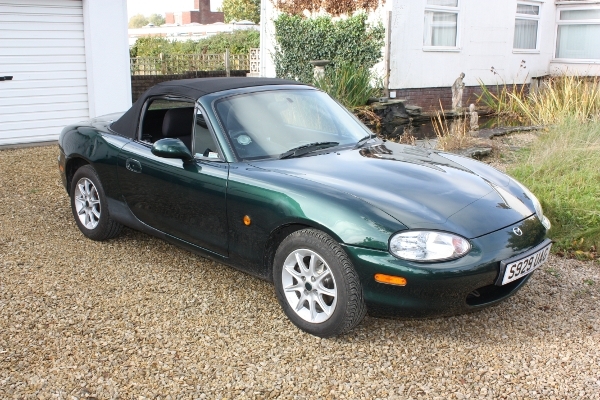 In 2014 I downsized to a little Mazda MX-5 which I use for social and domestic purposes. It is great fun to drive, and economical, but a very different beast from the Audi in just about every way. I had previously taken the advanced test with the League of Safe Drivers in a Triumph Stag in 1979, achieving a gold standard. The Mazda, certainly lacks the power and comfort of the Audi, but it handles like it is on rails and feels quick even if it isn't. 3-D printing. My electronics projects generally require some sort of container or fitting, and these are usually unavailable in the sizes or shapes that I need. So in 2015 I decided to get involved in 3-D printing and set up 3-D mechanical design software (TurboCAD prof) to prepare drawings for printing in plastic. 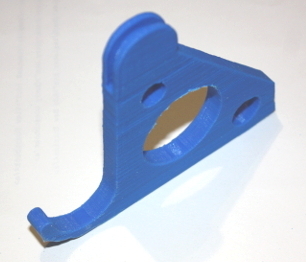 I have produced a number of bits and pieces, including some parts for the printer itself (the bits that you can see in blue plastic). 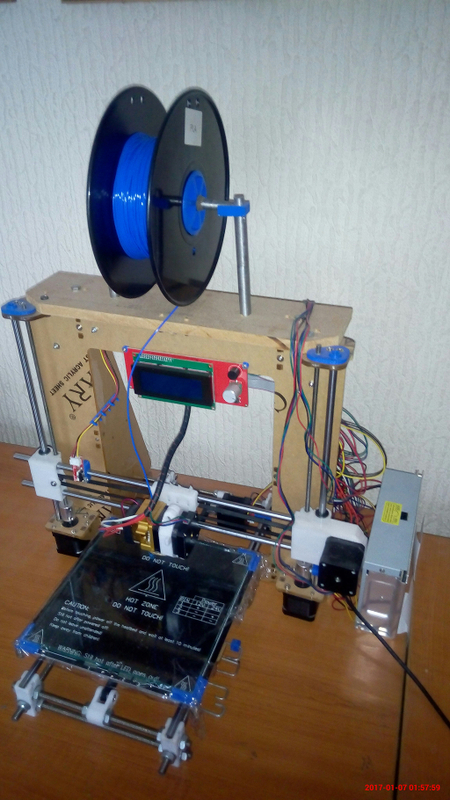 The printer is a very basic model, but with a few improvements it turns out bits and pieces of adequate quality as experimental prototypes. 3-D printing is still very much in the geekosphere - it needs great care and patience setting up each job to get results. Engineering companies have machines that can print anything from cake decorations to aeroplane parts, but these are very expensive and need experts to operate them. Each of my own projects is a little more complex than the one before, so I am building a very useful 3-D design capability, from simple boxes and clips to screw fittings, gears and curved shapes. Astronomy. Still an occasional stargazer and follower of technical news. 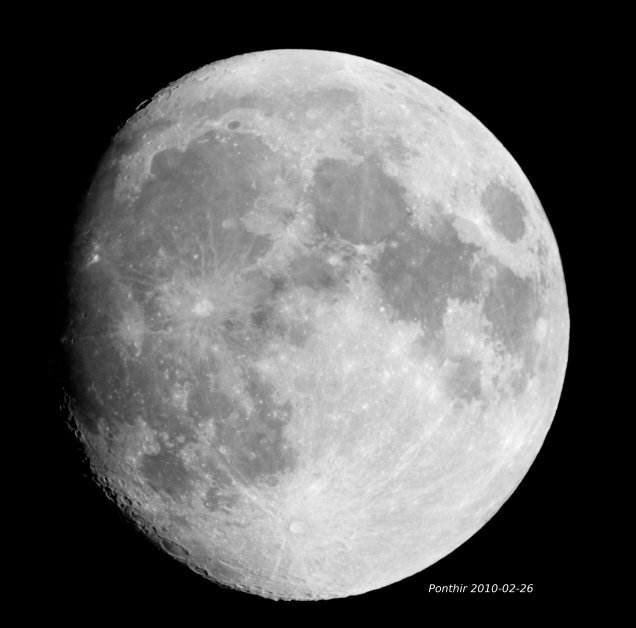 I am building a collection of images of the moon in different phases; each position of the Terminator (the edge of the nighttime shadow on the surface) shows interesting detail that is not visible except by the long shadows. For several years, until about 2010 I was on the lecture circuit for south Wales and the south west of England. My topics were variable stars, spectroscopy and relativity. I also occasionally organised observing sessions for schools. Equestrian sport, in which (years ago) I competed in dressage and show jumping, but until 2013 I confined my involvement mainly to assisting with organised competitions. I could sometimes be found at the showground at Crick, where I used to do a large part of their stewarding for dressage competitions. As the demands of the business on my weekends grew I gradually faded from the scene.